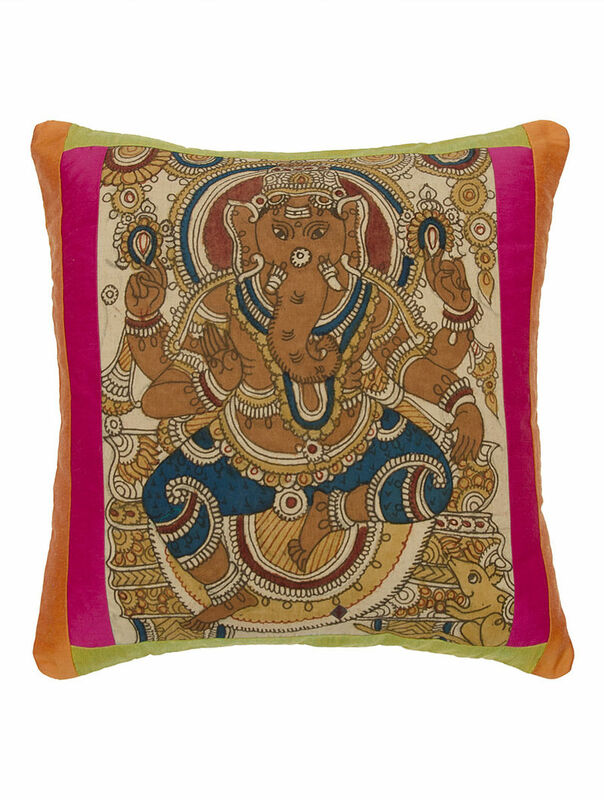 Add color and texture to your home's decor scheme with this refreshing Kalamkari multi-color cushion cover in cotton viscose. Pair it with furnishings in contrasting colors for a fabulous look. Dry Clean Only. Insert is not included.